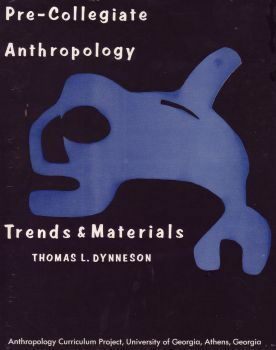 This monograph contained a summary of anthropology projects that I evaluated in connection with my doctoral dissertation. It helped to pioneer the teaching of anthropology in the social studies curriculum. Professor Dynneson has an extensive library related to Europe, Ancient Greece and Rome. For his new book about to br released. has included chapter sections recommending books related to Roman History. Recently Dr. Dynneson wrote a lengthy article that has been submitted to the Ancient History Encyclopedia listing and describing his choice of five outstanding books related to Ancient History. An audaciously daring narrative, this text presents an overview of the early history of Rome, focusing the reader's attention to those distinctive and often hidden cultural features that contributed to create a unique ancient Roman mindset and civic outlook. Using a historical format, Dr. Dynneson addresses these cultural forces which ultimately shaped the Romans into the ancient world's most powerful military city-state. Comprised of numerous values and beliefs, the Romans sought to develop their citizens as a cohesive whole. This approach enabled a mastering of both the practical and utilitarian tactics for solving problems, an expression of classical intellectualism. Identifying this sense of idealism paralleled with the Romans embodiment of sacrifice to overcome all obstacles, the author explores several features of becoming Roman. Within this text, each section is designed to pull together the general historical elements which helped to create a unique Roman citizenship. The final section of each chapter contains further analysis, including the author's narrative regarding the general sources used, and the second containing a review of one exceptional recommended reading. The later chapters of the book provide a special section entitled: "Recent Scholarship", which explores the work of recent scholars' "revisionists" perspectives related to the traditional ancient sources. 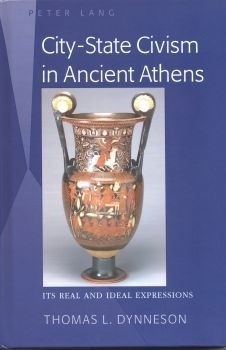 This book focuses on the development of civism as it contributed to Ancient Greek culture, and helped shape the psychology of citizenship in the Western World The strength of this work is in its interdisciplinary examination of those trends and influences that combined to give new insights into the rise and fall of democracy in the ancient polis of Athens. The author presents an extensive description of the intellectual forces that attracted "international" scholars and teachers to Athens, who in turn established important schools of higher learning as they labored to develop and advance the study of rhetoric and philosophy as competing alternative approaches for addressing the perceived weaknesses of the democratic system. This volume is an ideal supplement for instruction in courses in classical history, political science, philosophy, history of Western education, and advanced foundations of education. The second half of this texts focuses of the life and the times of the great Greek philosophers of ancient Athens. 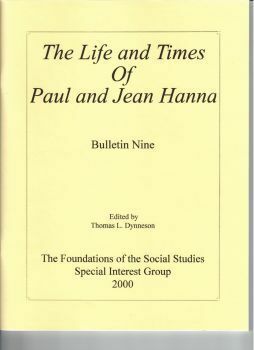 Born just after the turn of the century, Paul and Jean Hanna were shaped by the great social, economic, political and technological events that took place during the twentieth century. In their early adult lives they experienced the trauma of social stress of the Great Depression which was sandwiched between two great World Wars. After the Second World War, they helped in the reconstruction of devastated school systems around the world and worked to advance the establishment of the United Nations. A young colleague of John Dewey, Paul moved to Stanford University where he advanced the social studies curriculum. This is a summary of several important anthropology projects developed during the era of the "New Social Studies." In addition to the curriculum projects, this work contains a review of related anthropology materials for the social studies instruction. This work was developed in conjunction with SSEC in Boulder, Colorado. 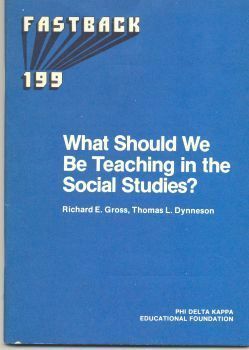 What Should We Be Teaching in the Social Studies? The strength of this work is its interdisciplinary examination of those trends and influences that combined to give new insights into the rise and the fall of democracy in the ancient polis of Athens. This work was featured in the NEA Professional Library: Book News. Consequently, this work earned notable acclaim in the United States and Europe and has been cited by leading scholars interested in the development of citizenship in their respective nations. The chapter authors are from major American universities and are recognized leaders in their various social science and education disciplines. 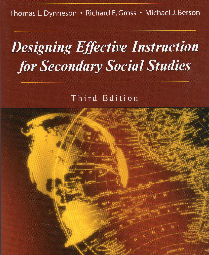 As an essential methods and curriculum guide for teachers, Designing Effective Instruction for Secondary Social Studies presents a comprehensive and valuable model for successful classroom teaching. The authors base their model on the organizational structure of instruction, which utilizes a step-by-step system for designing and developing an entire array of classroom needs. The text is arranged in seven integrated parts that explore selected issues and federal guidelines, offering innovative solutions to practical instructional problems. Vignettes support the development of useful thinking about creative teaching in the social studies classroom so that instruction is systematically executed. 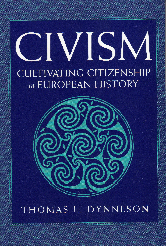 This book explores the relationship between citizenship and civism through a general survey of European history. It begins with an exploration of the dynamics of citizenship and civism in the formative Neolithic and classical societies, followed by an exploration of the middle ages, renaissance, reformation, and the enlightenment. The latter half of the book focuses on the rise of the modern nation-state following the French Revolution. The chapters spanning the eighteenth, nineteenth, and twentieth centuries focus on the development of citizenship and civism in Britain, France, Germany, and Russia. Dr. Dynneson's book recommendation related to Roman History. This is the first book of series of three or more works that will span Roman History from the ninth century BCE to the collapse of the Roman Republic, with a special emphasis on Roman citizenship through the rise of Roman Imperialism. This book focuses on the development od civism as it contributed to Ancient Greek culture, and helped shape the psychology of citizenship in the Western world. This book focuses on the development of civism as it contributed to ancient Greek culture, and helped to shape the psychology of citizenship in the Western world. 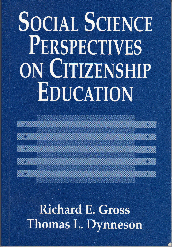 This work consists of an anthology of authors in which they describe their disciplines’ perspective on citizenship education. This is a college level textbook that is designed as a means to help teacher candidates learn to prepare instruction. This book is an exploration of the relationship between citizenship and civism through a general survey of European history.